The Magic Whip | Cinema, etc. Earlier this week an message was sent around to all those on Blur’s UK fan e-mail list to reveal that there would be a new ice cream available exclusively at Co-op stores across the UK from Wednesday 8th July. Moreover, each pack would come with a download code for an exclusive from the sessions for The Magic Whip but not featured on the album. This was music to my ears (figuratively and literally). However, it isn’t all great news. The track being given away is called “Y’All Doomed”, which was previously available on the Japanese version of the album (and subsequently all over YouTube, including here). The song is fine but is obviously an outtake from the sessions, rather than a great song that didn’t fit with the album. Additionally, it was previously available to HMV customers on 7” vinyl back in March. So it’s not a new song, but it’s free, so we can’t complain. The ice cream itself is actually really nice. We’re in great hands – The Licktators are experienced in creating some really delicious flavours (Marshmellow Law is particularly tasty). 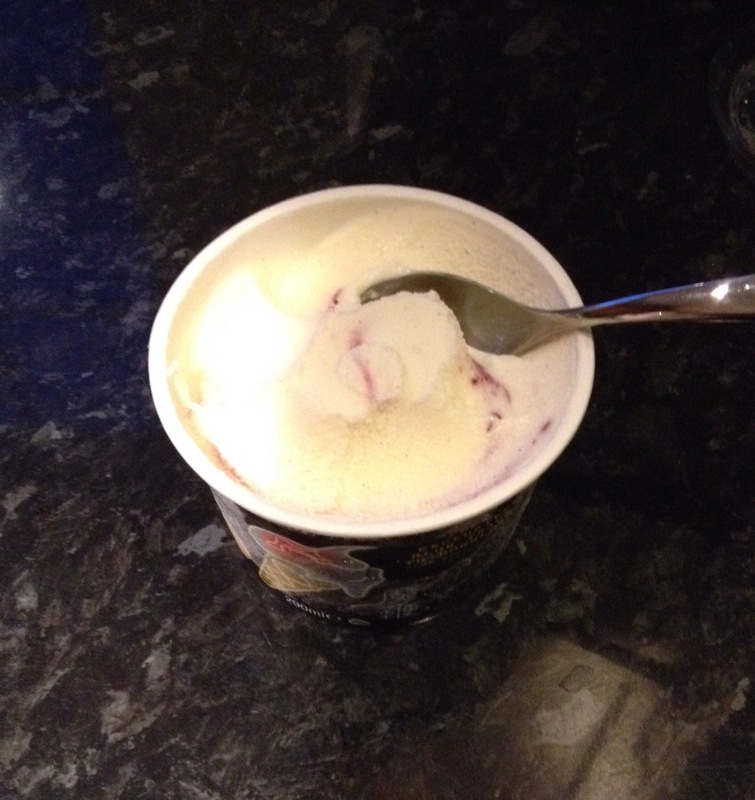 The Magic Whip is an old British favourite: raspberry ripple with vanilla ice cream. At £1.74 per 290ml I’d definitely buy it again. The packaging puts it firmly in the canon of the album, and it all sits together quite nicely. So if you’ll excuse me, I’ve got to finish the rest of my serving. This third tub won’t eat itself. [Note] I bought a few tubs of The Magic Whip so have a couple of spare codes to download the new single “Y’All Doomed”. Let me know if you want one of them.